Yahoo got fined for its unwillingness to cooperate in a cyber-criminal investigation which prompted Belgian authorities to subpoena detailed account data for a number of e-mail addresses used by a gang of alleged internet cons. Yahoo’s defense was that it would only respond to requests from American authorities, while the Belgian investigators claim it should turn over the data at their request too because the company operates its services in Belgium. Also worth noting is that the judge is being quoted as saying that this procedure for requesting data “poses absolutely no problem with Google and Microsoft”. 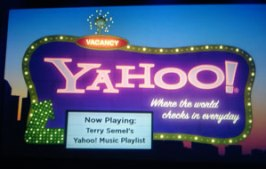 The court ruled in favor of the investigators: Yahoo got the maximum penalty. We’ve contacted the company to get an official statement about the court’s decision, which was made public just a couple of hours ago. In an interview with a Belgian news magazine, a Yahoo spokesperson apparently said it’s going to appeal the decision, and that it has every intention of cooperating with national authorities as long as the standard procedures are being put into practice. We strongly disagree with the court’s ruling and plan to file an immediate appeal. Yahoo! Inc., a U.S. corporation, does not have business operations in Belgium and does not maintain the customer information at issue in Belgium. The United States and Belgium have a formal international treaty which the prosecutor should have followed to properly seek information from a U.S. company. Yahoo! is not withholding information from the Belgium government. We have a legal and policy basis for not disclosing information in this type of case until the recognized international legal process is followed. We have raised this issue with the U.S. Government. This decision could have negative implications for all foreign companies by unduly expanding the application of a law that should not apply to a company organized outside of Belgium and without a presence in Belgium. You may remember the ruckus that was raised when Yahoo complied to Chinese authorities and gave up personal account information that ultimately led to imprisonment of a political dissident back in 2007. The company received a mountain of criticism over that decision, with some people even calling Yahoo management moral pygmies and drawing comparisons to a company trading with Nazi Germany. Perhaps this is still sour grapes in Sunnyvale, and the company now simply thinks twice before handing over user data at simple request.